Your 2018 dues were due on January 1, 2018. If you haven't yet paid dues, you may still pay by dropping off a check at the home of our Membership Chair, Susan Jones, 2620 Arica Way. There is a box by her front door for dues. Dues are $20.00 a year. 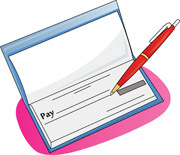 Make your check payable to QCPC. After January 31, we will eliminate non-paid individuals from our Membership list. You will no longer receive newsletters and you will no longer be able to participate in Club activities, including open play on Monday through Saturday mornings. So, if you wish to remain a QCPC member, please pay your dues as soon as possible. Courts 5, 6 and 7 will be used and class size limited to 20. Drills will be on Thursday mornings, Feb 1 and 8, no drill on Feb 15, drills resume on Feb 22nd and March 1st. Sign up here for Feb. 1 drill. There will no drills for 3.0 or 3.5 players during the week of January 28th. Assisted play gives beginners a chance to play with other beginners while more experienced players watch and give pointers on how to improve their game. This is not a lesson, but it will give you playing experience. If you have taken a lesson and/or have some playing experience, this is a great way to improve your playing skills. The first hour will be assisted and the second hour will allow the beginners to play. Throughout February and until March 5th this will be every Monday and Thursday from 1 PM to 3 PM on Courts 5-7. You must sign up to attend. Sign up here. Kathy Palese will continue to offer lessons to our Club members in groups of 4. She will be a IPTPA certified instructor as of January 29th. Lessons will be 1.5 hours. Starting in February, you will need to sign-up on Sign-Up Genius for Kathy's lessons. Get your group together and then the leader should sign up for the date and time that the group wants. Put the number in your group in the Quantity area and also put your skill level in the Comment section along with the names of others in your group. If there are fewer than 4 in your group, other players may fill in. Please be respectful to the group level of play if you are filling a vacancy. The link for February's lessons is here. You can sign up for weekly lessons during February if you like. This link is also on the website on the right side under Pickleball Instructors. First, a big thank you to Jeannie Innachinno for her service as this committee’s chairperson for the past year. Second, we need a Court Management chairperson. Responsibilities include purchasing balls and other consumables, notifying POA Maintenance when necessary, and monitoring court conditions. This is not a board position, it is a committee position with a 1-year term. For more information, contact Jean Bustard, 303-921-8139, jeanb@dcmesa.com. www.qcpickleball.org). It is best to create an account and to sign in to Sign-Up Genius, so you can easily change your sign-up later. To set up an account, use your e-mail address and keep track of your password because you will need it for future sign-ups or to change your sign-up. Go into the sign-up and sign in. Then click on the Sign-Up beside the thing your want to sign-up for. Finally, go down to the bottom of the page and click on Submit and Sign-up (this is critical; otherwise you haven't signed up). If you are signing up yourself plus someone else, put the quantity as 2 and put that person's name in the Comment field. You will receive an e-mail confirmation that you have signed up and you will also receive a reminder 2 days before the event. When we have socials, you will usually be asked to sign up to play or to attend but not play AND to sign-up to bring something or to help out. Generally, couples need to only bring one thing because we always end up with too much food. Once you have clicked all the items, remember to go down to Submit and Sign-up and click on that. Fill in the Quantity for each item and, if you are signing up for more than just yourself, put the other person's name in the comment field. If you sign up for something and later find out that you can't attend, please cancel your sign-up. Many of our events cannot accommodate everyone who wishes to participate, so please don't take up a spot if you won't be using it. In order to cancel a sign-up, you must use the same login information that you used when you signed up. Sign into Sign-Up Genius and it will list the things you've signed up for. Go to the one you want to cancel and click on delete. If all spots are filled when you attempt to sign up, go back into Sign-Up Genius periodically to check for cancellations. During the busy season, our Club has a social event on the 3rd Wednesday of each month. There will be no Round Robin on days when we have a social event. Sometimes these will be morning events and sometimes they will be afternoon events. Check the newsletter and website for the details of each event. You will usually need to sign up to play pickleball or just attend an event, and also to bring food or to help out. The dates for our socials this year are February 21, March 21, and April 18. Save these dates on your calendars. From Lenny Friedman, USAPA Ambassador. Referees are needed for tournaments, becoming a referee is a great way to learn more about the rules of the game, and it is an opportunity to volunteer to help the advancement of the sport. If you are interested in becoming a pickleball referee, click here to register for a classroom study class from 1:00-4:00 in the Kino Center on February 2 and an on-court training from 9:00-11:00 on February 4. Please do not sign-up unless you are available for both classes. Class is limited to 12 students. The organizers of the Firefighters' Tournament need more referees. Click here to sign up to referee for this tournament on February 10 or 11. There is an option to indicate that you will referee when you are finished playing.